How do you get an audience of over 600 graduates from all over the world onto the dance floor? It’s impossible to please everyone all of the time, right? Multiply individual preference with global reach and the task could be daunting. Especially when the client is a leading world bank that prides itself on managing cultural sensitivities. 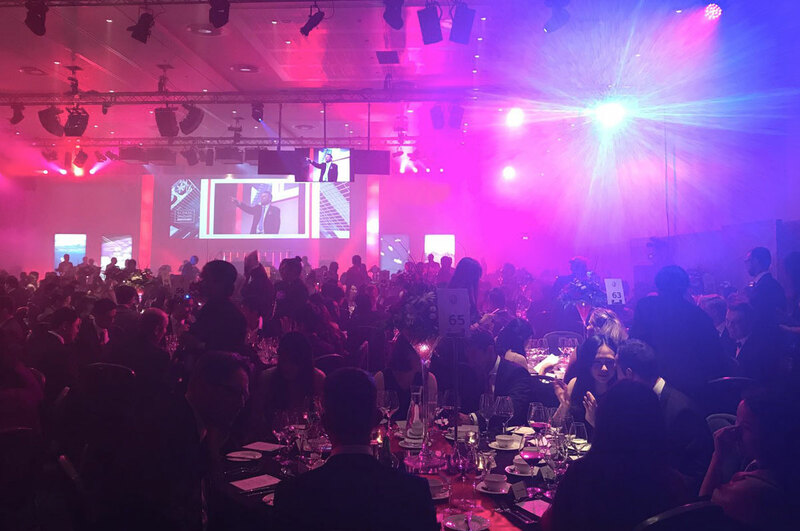 A ‘large financial institution’ held its graduate induction week at the 02 Intercontinental and asked Wheathill to get the party going after the gala dinner. ‘Dance floor fillers’ means different things to different people, so the first step was to sound out the vibe of the occasion. Having got a feel for things, we enlisted the skills of the lovely DJ Stephanie to spin a mix of current chart hits with a smattering of old school classics, bhangra, latin pop and funk. To bridge any gaps we recommended adding a live music element. A visual focus, someone to draw any disbelievers out onto the dancefloor. Cue Heather on sax and her irrepressible joi de vive. The Arora ballroom at the 02 Intercontinental, with stunning views across the Greenwich Peninsula and capacity for 3000 guests. An impressive space for an impressive event. After days of workshops and conferences, the gala dinner was a much welcomed break for the next generation of bankers. Steph’s broad bag of tunes were brought to life by Heather’s infectious performance. Let their hair down they did. Wheathill helped achieve that all important balance between work and pleasure. A big thank you to Wheathill for the fabulous job they did at our Global Graduate Discovery event! The DJ and saxophonist were top notch and delivered exactly the right sound and atmosphere for the target audience. Wheathill were both friendly and professional to work with throughout the planning and gave me nothing but confidence in their ability. I wouldn’t hesitate to work with them again.